Sonja was always up to a challenge, but Amyotrophic Lateral Sclerosis (ALS — Lou Gehrig’s Disease) was one challenge too many. 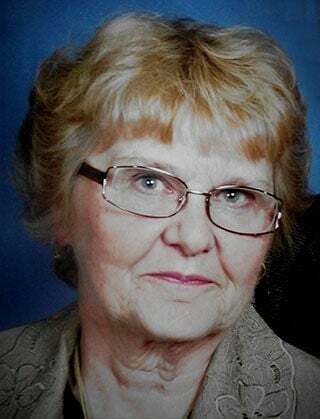 Sonja Ann Bauer of Altoona passed away peacefully on March 30, 2019. She was born August 21, 1939, to Arnold and Agnes (Knuth) Matz. Sonja attended Allen grade school (a one-room school). She grew up on a farm in Allen and loved the country life: driving the tractor, helping hay and helping in the barn. She attended Osseo High School, graduating in 1957, and then went on to UW-Stout, graduating in 1961. While attending Stout, she met a gentleman from Durand — Roger Bauer. They were married June 3, 1961, at St. Paul’s Lutheran Church, Cleghorn, Wis. They were blessed with nearly 58 years of marriage, three children, six grandchildren and three great grandchildren. She was devoted to her faith, husband, three children and their families and a dedicated homemaker. She loved her family and family gatherings. Sonja was a member of Bethlehem Lutheran Church in Altoona. She was very active in the church, serving several positions: church secretary, church treasurer and was involved in the Women’s Evening Guild (she loved those ladies). She started Alto Homemakers Club in the 60s. In the late 70s, Sonja and Roger were instrumental in starting the Altoona Music Booster Club. She always had an entrepreneurial spirit. She and Roger had a vending route for 15 years and, after that, Sonja decided to try a business in the mall — The Nut Niche. She was excited to try her business techniques and reveled on setting up this business. She and Roger worked together on remodeling projects, remodeling and fixing up several homes and a couple of student rentals. Sonja had the ideas and Roger had the skills. They together made the altar and pulpit for the church. Sonja had many interests. She loved to sew and entertain. There wasn’t much that she couldn’t fix or create with her sewing machine. Cutting up little strips of fabric and then sewing them back together and creating a quilt. She sewed tops for several quilts for Lutheran World Relief and made several banners for the church. She made a lot of garments, a wedding dress and several bridesmaid dresses. And entertain ... she would spend hours looking through cookbooks, finding new recipes that she could try out on friends. She loved to make hors d’oeuvres, always ready to invite friends in for a party. Along the way, she made more than a dozen wedding cakes. The family camped and made several trips south to Texas, Virginia and Kentucky, and to the west to Washington state when their children were young. There was always singing along the way. If they ran out of songs, they would make one up. The trips created lots of good memories. The family had to keep her from making the campfires too big. She loved the serenity of the outdoors; watching the birds and looking over the countryside. She had a great sense of humor and quick wit and she passed that on to her children and grandchildren. She loved old time music ... polkas being her favorite. There were many times Roger and Sonja would dance around the kitchen and Sonja would say “WooHoo,” a Whoopie John saying. She was always up to dancing. Sonja liked all kinds of music from Merle Haggard and Manhattan Transfer, to Jazz and Mantovani. She and Roger attended many dances of the Big Bands also: Woody Herman, Harry James, Tommy Dorsey and Ray Anthony to name a few. Music was a special part of their lives. They traveled around the country to listen and support their children in their music events. Sonja is survived by husband Roger (her soul mate); three children: Kenton Bauer of Altoona, Jill (Perry) Wiesman of Green Bay and Heidi Ender of Eau Claire; grandchildren Heather (Andrew) Zrnich, Jared Wiesman, Timothy Ender, Callie Wiesman, Shane Ender and Sarah Bauer; great-grandchildren Keira, Naomi and Gabriel Zrnich. She is also survived by sisters Diane (Roman) Schulz Fritz, Debra Green and brother Bill Matz; brother-in-law Robert (Mary Lee) Bauer of Durand and several nieces and nephews. She was preceded in death by her parents, brother-in-law Steve Green, sister-in-law Connie Matz, nephew Bob Matz, father-in-law Jack Bauer, mother-in-law Ruth Bauer, brother-in-law John Bauer and sister-in-law Joan Hintermeyer. A memorial service is scheduled for 11 a.m. on Friday, April 12, at Bethlehem Lutheran Church in Altoona. Cremation Society of Wisconsin is serving the family. Online condolences can be left at www.cremationsociety-wi.com.